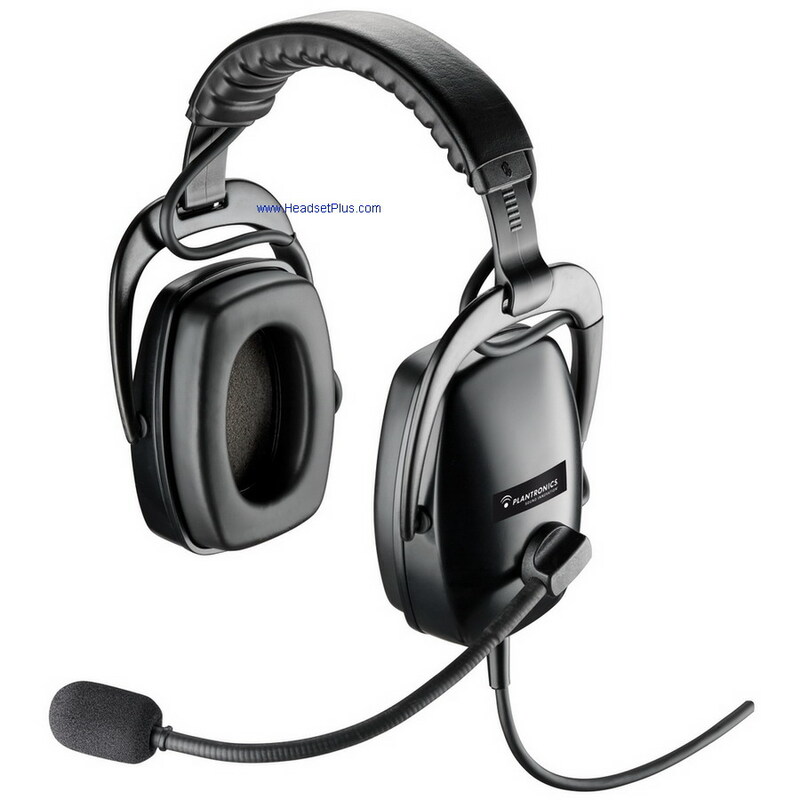 Over the head noise canceling, Dual Ear Circumnaural Headset style for extreme, harsh environments. The cables feature robust polyurethane (PU) jacketing material. They are resistant to UV, oil and solvents. They remain flexible over a wide range of temperature extremes. Compatible with all Plantronics amplifier bases. Clothing clip & flexible boom mic. with replaceable windscreen. Perfect for large call centers, factories, airports or any environment with harsh background noise. The Plantronics SHR2083-01 Headsets end in a Quick Disconnect Cable. The microphone reduces transmitted background noise by 20 dB. The high quality gooseneck boom allows the microphone to easily be positioned in front of the mouth. The distance between the front and rear ports reduces the sensitivity at 1 KHz to far field noise by 15 dB compared to close talking response. Compared to on-axis voice, the bi-directional response reduces 90 degree incident noise by 20 dB more and random noise by 5 dB more. The bandpass is limited to 5 KHz and it acoustically filters the higher frequencies which are unwanted on most communication systems. The Noise Reduction Rating (NRR) of the Ruggedized Headsets is 22 dB. The level of noise entering the users ear when the headset is worn as directed is approximated by the difference between the A-Weighted environmental noise and the Noise Reduction Rating (NRR) of the headset. For example: If the environmental noise level as measured at the ear is 92 dBA, and the NRR of the headset is 22 dB, then the resulting level of noise entering the ear is approximately 70 dBA. The headset must be properly worn to attenuate noise effectively. Important Note: This headset requires the Plantronics M22 Vista amplifier or bottom cable between the headset and the telephone. call for assistance. This headset gave a huge boost to my ability to be productiv ..